Fund for Assistance to the ROCOR - Please help Grisha! Because here we have a talented highly-educated young man (his B.A. is in Political Science and Russian) who is determined to give his all to Church. 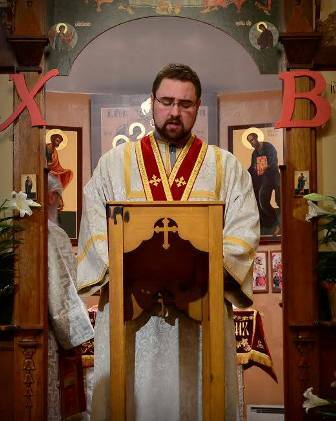 Even while studying (successfully – he gets A’s and B’s) at seminary – Grisha works full-time for the Eastern American Diocese an Media maintaining records, and writing, editing, translating, and reviewing articles for the website and letters for the administration. All of this is in addition to serving as a reader and altar server in his parish. So instead of seeking a lucrative career, he decided to work for the Church, even though this means accepting low pay for years to come, and thus, putting his personal life on hold. Because at the moment, his salary is only enough to cover his car payments, it doesn’t even cover rent. We don’t see this kind of dedication every day. I only wish we had more young men like that - whose first goal is to serve our Church. So that Grisha can graduate, I ask you to contribute any amount you feel comfortable with.If we can’t help our own, who will help? If Grisha needs to pay for his last year at seminary, he will need to pay off student loans for many years. Yes, I know, many of us do that. But not all of us are content or are able to lead the type of life he leads. So please donate today to help one of our best.